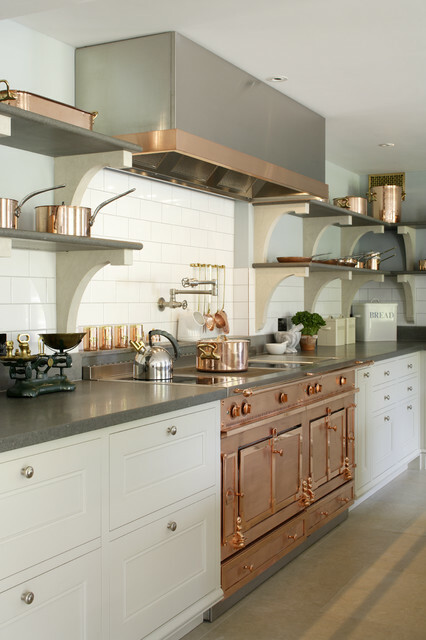 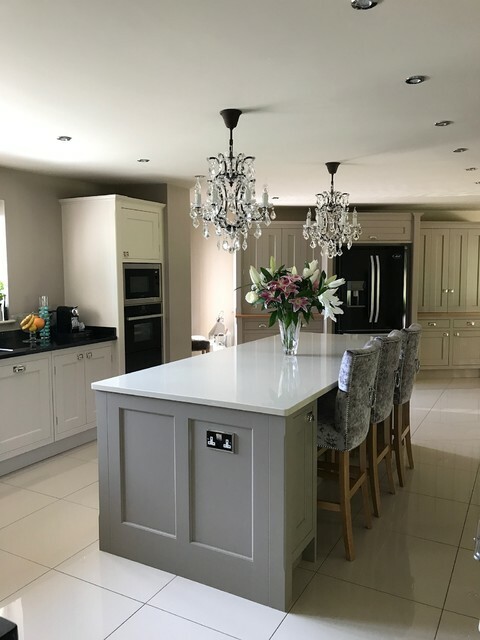 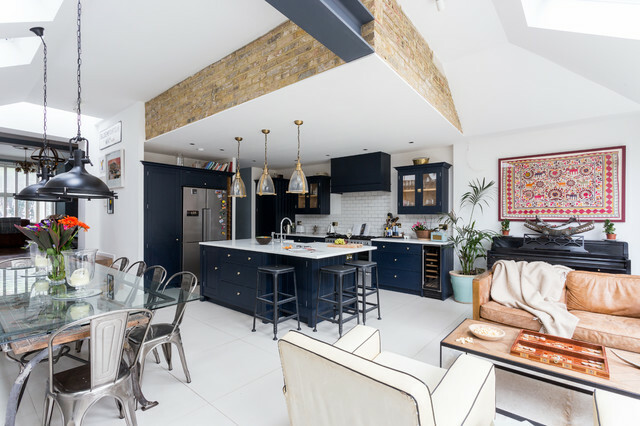 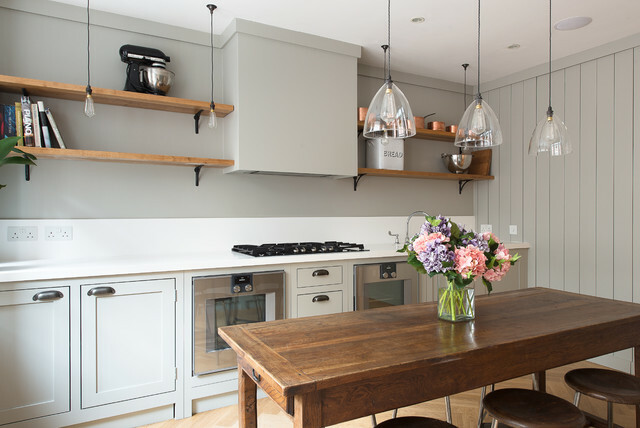 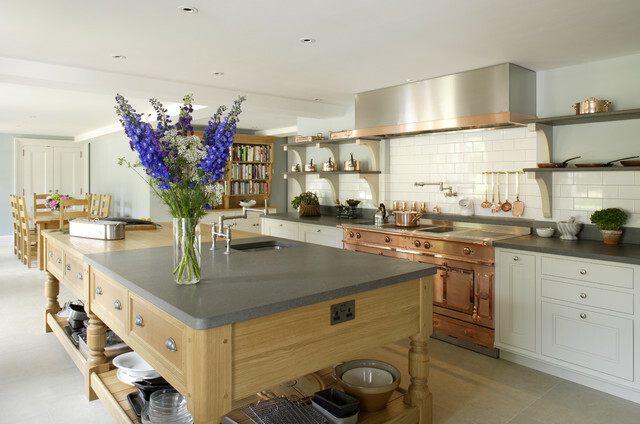 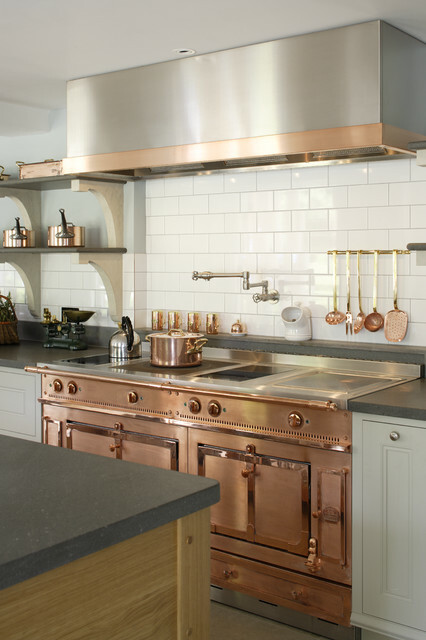 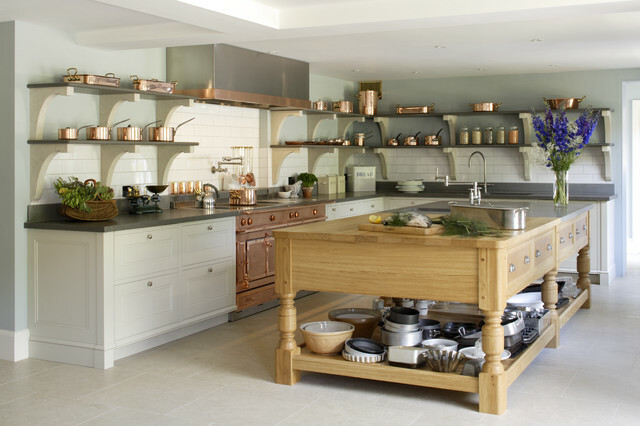 This bespoke professional cook's kitchen features a custom copper and stainless steel La Cornue range cooker and extraction canopy, built to match the client's copper pans. 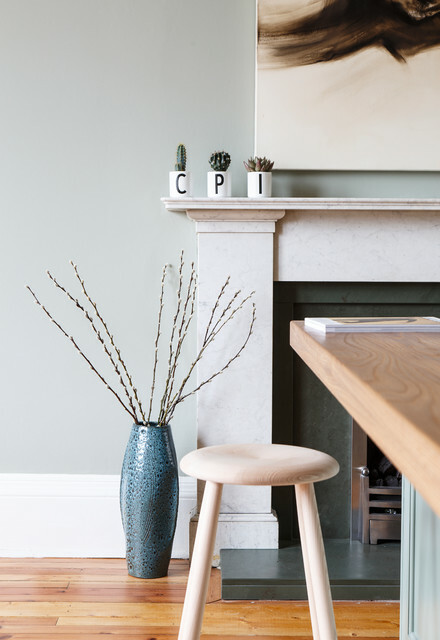 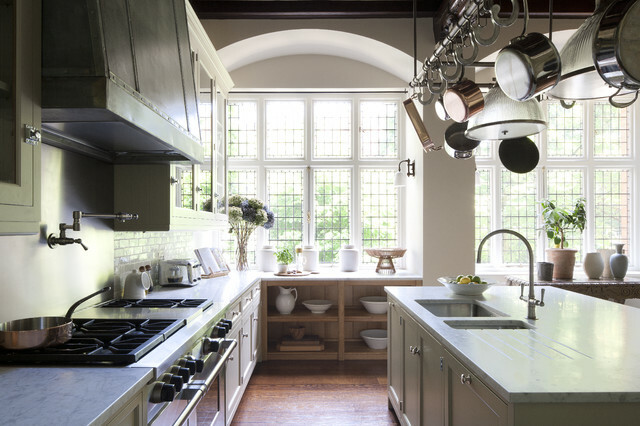 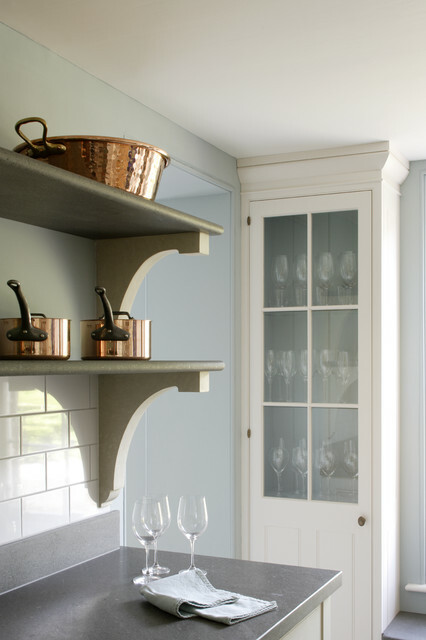 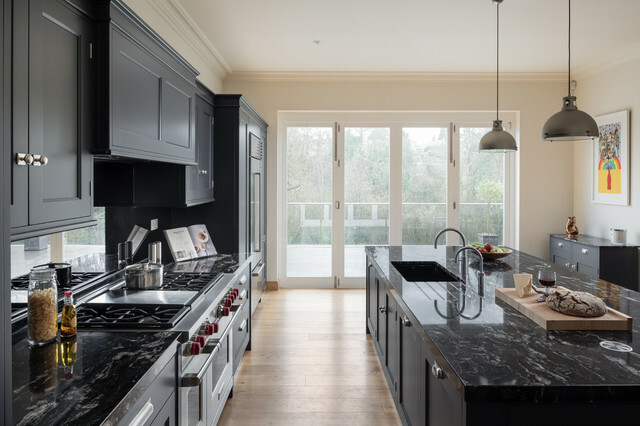 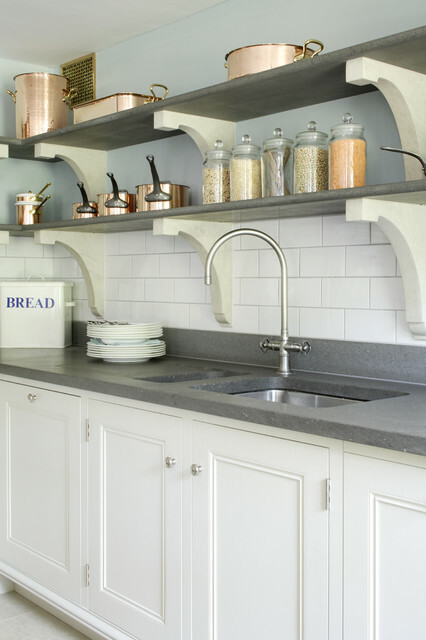 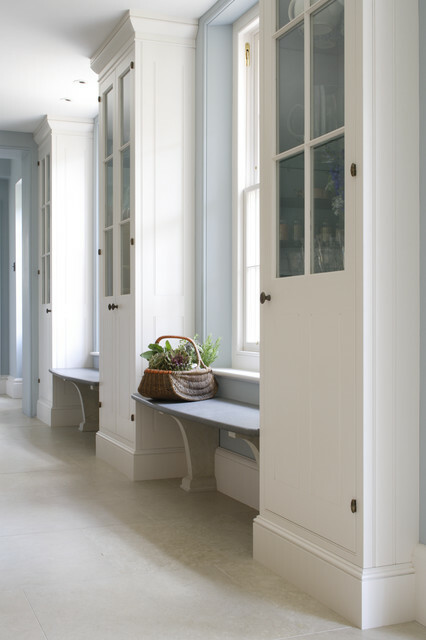 Italian Black Basalt stone shelving lines the walls resting on Acero stone brackets, a detail repeated on bench seats in front of the windows between glazed crockery cabinets. 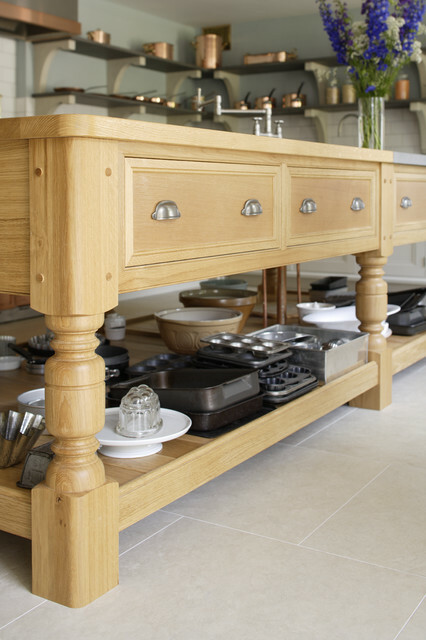 The table was made in solid English oak with turned legs. 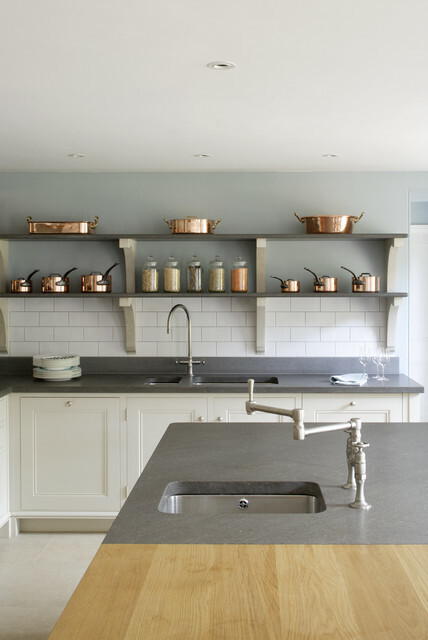 The project’s special details include inset LED strip lighting rebated into the underside of the stone shelves, wired invisibly through the stone brackets. 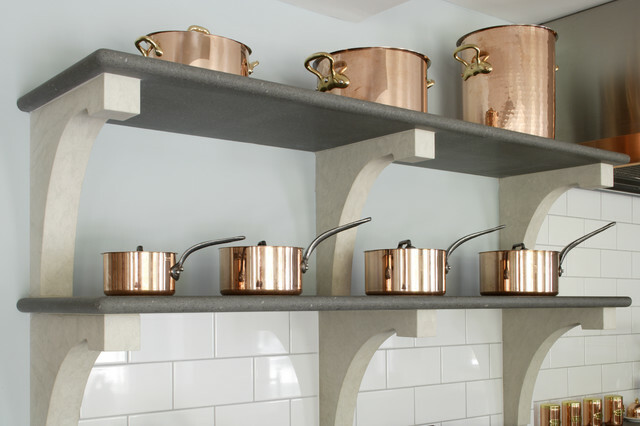 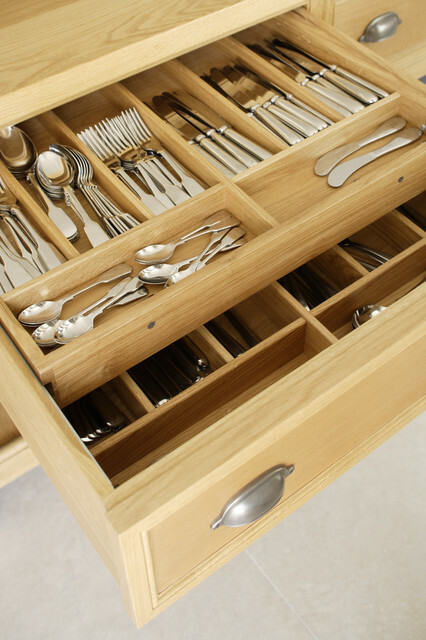 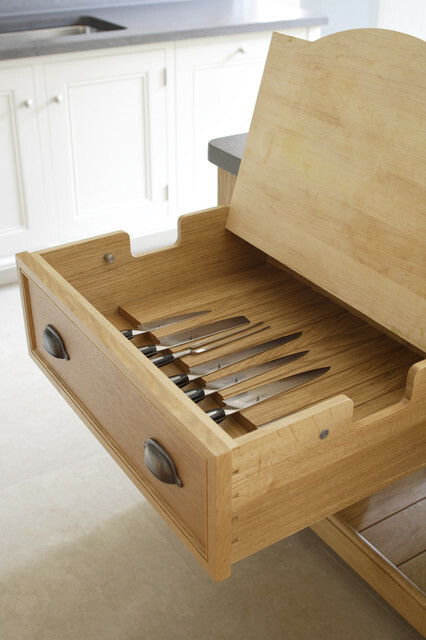 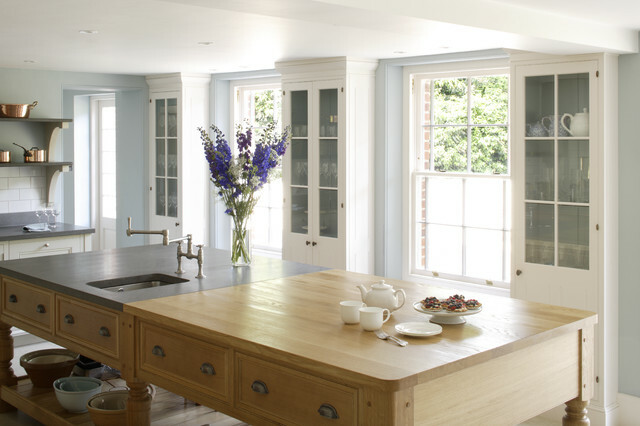 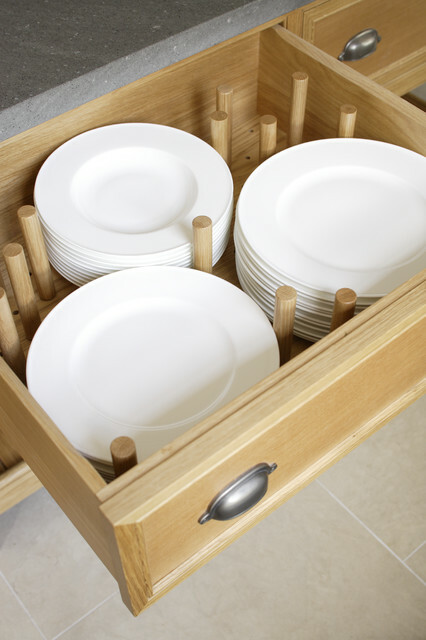 Read our article about The Regency Cook's Kitchen. 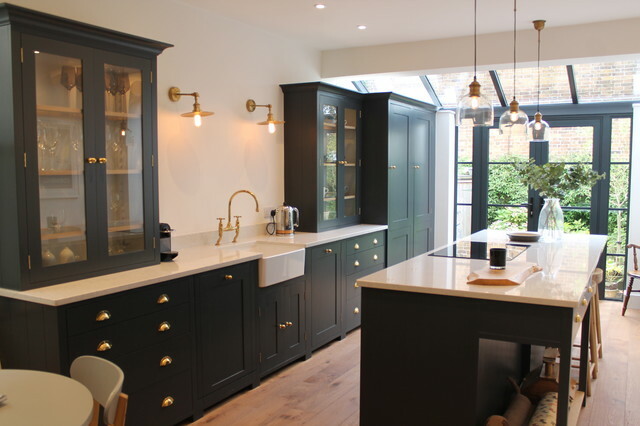 Primary materials: Hand painted Sapele; Italian Black Basalt; Acero limestone; English oak; Lefroy Brooks white brick tiles; antique brass, nickel and pewter ironmongery.